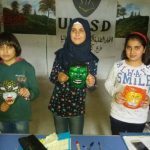 Quiz on general knowledge | Kobanê, Syria – DOZ e. V.
On February 20, 2016, UKSSD Kobanê has started launching yet another activity in “Child Protection and Youth Development” sector. 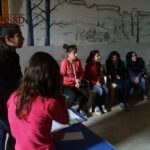 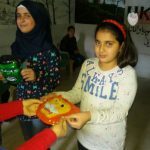 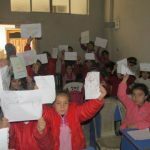 Teacher Rojin Khalil started a new course named “Quiz on general knowledge” for supporting students in the local UKSSD Center enlarging their knowledge not only on topics such as language, mathematics or social matters, but also on rather general issues. 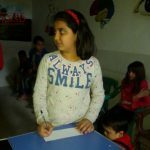 The course started with 21 students and has until now been offered on a weekly basis.